A jam-packed program filled with 64 features and docos, welcome to JIFF 2018. Diverse, challenging, thought-provoking and wildly entertaining, start planning your list of carefully curated films and events. 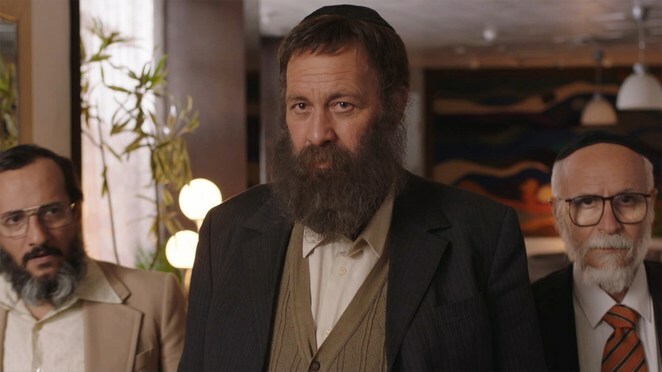 The Jewish International Film Festival is the home of the most comprehensive range of Israeli and Jewish-themed films in Australia and New Zealand and bursts onto our screens as follows. Melbourne - 24 Oct to 21 Nov: Classic Cinemas, Lido Cinemas & Cameo Cinemas. Opening night film and Australia Premiere, The Interpreter is a critically-acclaimed road movie that debuted at the 2018 Berlin Film Fest. It's a charming and witty interpretation of our complex relationship to familial histories and guilt. Reading a book written by a former SS officer recounting his war experiences in Slovakia, 80 year old translator Ali realises that one of the chapters may well describe his own parent's execution. Armed with a pistol he sets off for revenge, but once there, encounters the author's 70 year old son who himself is struggling to deal with the sins of the father. 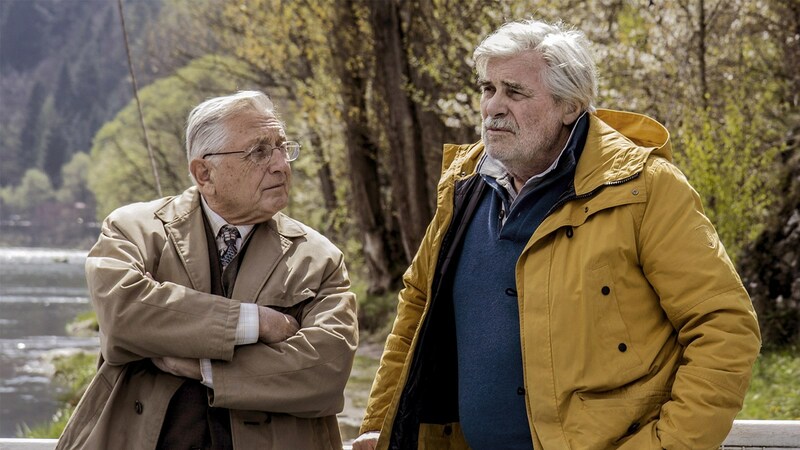 A journey of two very different men, together they discover a country that would prefer to forget about its past. Tickets to this event includes a complimentary glass of wine at Event Cinemas, Bondi Junction (Tue 23 Oct 6.15pm for 7pm screening). Melbourne's Classic Cinemas, Elsternwick's event comes with drinks, canapés, and live music from Melbourne trio Yonatan is a Giraffe, who'll perform songs from the iconic Israeli album The 16th Lamb (Hakeves Hashisha Asar) (Wed 24 Oct 7.15pm for 8.30pm screening). Closing Night event in Sydney and Melbourne, The Unorthordox also attracts a complimentary drink with the purchase of a ticket in Sydney and Melbourne. Described as serious and profound, as well as genuinely fun and entertaining by the Jerusalem Film Fest, this film follows Yakov Cohen, a Sephardi Jew from Jerusalem who is affronted when his daughter is expelled from school simply because of her ethnic background. Necessity being the mother of invention, with no political experience, Yakov is inspired to take action by starting the first ethnic political group in Jerusalem, along with two friends. The trio, powered by rage, passion and a burning sense of injustice, march through Ashkenazi-dominated Israeli politics and gives them a never before experienced wrath of the spurned and thrifty Sephardim. A jaunty original soundtrack adds to what might not sound like a laugh-out-loud film about the rise of the underdog, and the power of one. Other event highlights includes the celebration of the extraordinary life of beloved comedian Gilda Radner with Q&A screenings of Love, Gilda. Director Lisa D'Apolito joins the Q&A from the USA to share her experiences in making this exuberant and moving documentary at Classic Cinemas - Elsternwick, Lido Cinemas - Hawthorn and Event Cinemas - Bondi Junction. This fond, funny and moving documentary opens up a unique window into the honest and whimsical world of a beloved performer whose greatest role was sharing her story, as she looks back and reflects on her life and career, in her own words. Sobibor recounts the best and the worst of human beings as it tells the story of the Sobibór camp uprising. This Russian blockbuster production tells an extraordinary true story of the resistance of the human spirit. Sobibór was one of four concentration camps in WW2 Poland where prisoners were deemed either fit or unfit for work. When the odds are stacked against you; prisoners of the camp, led by Alexander Pechersky, conspire to organise the impossible: a revolt which resulted in the only successful rebellion in the death camps in history. Here is an important story of heroism, defiance and survival. 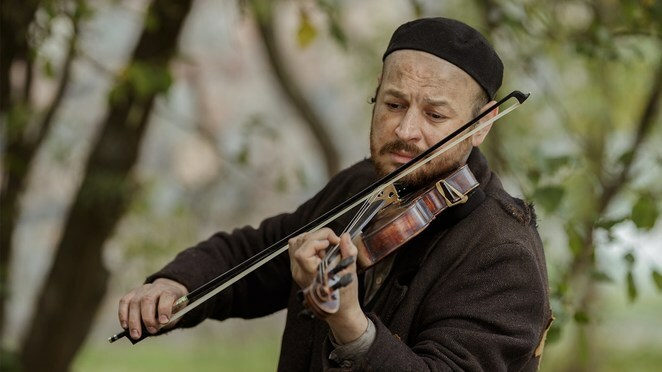 Director and Russian Star, Konstantin Khabensky joins the post-screening Q&A from Russia in Sydney and Melbourne. The inaugural JIFF Börek Bake-Off takes place prior to the screening of documentary The King of Börek . Bring your flakiest and tastiest böreks (or bourekas!) to the Classic Cinemas Elsternwick for your chance to be crowned JIFF's Best Baker! With special guest judges Rita Erlich and more, be sure to register your participation. The film itself is mouth-watering as it follows the rise and fall of the Alkolombris family; Bulgarian bakers that brought their famous bourekas pastry to the newborn state of Israel. Enjoying rapid success, it led to the first franchised food chain in Israel. Here for a good time and not a long time, rival siblings began to clash as jealousy, honour and greed threatened to tear down the family empire. You have the unenviable task of selecting a few, from a plethora of gems, including The Twinning Reaction. Truth is stranger than fiction in this unique story of loss and sacrifice in the name of science. An astounding and thrilling exposé that gives voice to the unwitting subjects of an infamous American scientific experiment: the 1960s Neubauer-Bernard study of separated twins. Told from the perspective of the Jewish identical twins and triplets who were secretly split up in infancy and adopted through Louise Wise Services, a Jewish adoption agency, this doco looks at the traumatic, long-term effects of the separations, and continuing deception, on the children and their adoptive families. This long weekend should be time enough to start planning your Jewish moment in time that can be confronting, challenging, amusing, moving, exhilarating and exhausting. Go ahead and create your list of films that resonate universally.